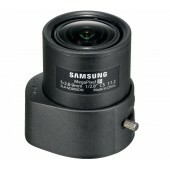 Samsung/Hanwha Techwin offers a range of camera lenses that include motorized zoom, vari-focal and megapixel lenses. 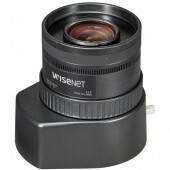 These lenses are industry standard lenses and use universal C or CS-mounts making them easy to install. 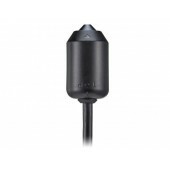 Compatible with PNM-9000VQ. 0.055Lux@F2.0 Color, B/W. 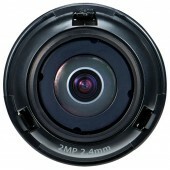 2.4mm fixed lens (2MP). Compatible with XNB-6001. Max. 2 Megapixel (1920 x 1080) resolution. 4.6mm pinhole lens. 0.06Lux@F2.5. 8m cable. Easy installation. Flexible panning ± 30 degrees. Multiple housing color options to match the door jamb. Hidden security screw for discrete look. White Housing. 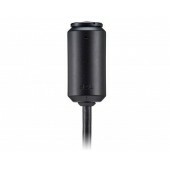 The SLA-2812DN CS-mount Varifocal Lens has a focal length of 2.8 ~ 12mm. 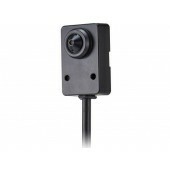 The F1.3 DC type auto iris feature is produces consistent video signals and adjusts the camera to changing light levels. Focus and zoom are manually controlled. 0.055Lux@F2.0 (Color, B/W). WDR (150dB). 2.8mm fixed lens. 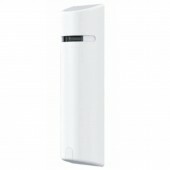 Compatible with PNM-7000VD. Compatible with PNM-9000VQ. 0.055Lux@F2.0 Color, B/W. 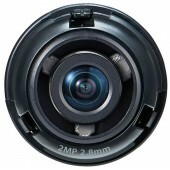 3.6mm fixed lens (2MP). Compatible with XNB-6001. Max. 2 Megapixel (1920 x 1080) resolution. 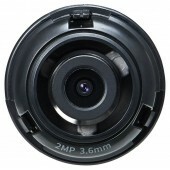 4.6mm pinhole lens. 0.06Lux@F2.5. 8m cable. Easy installation. Flexible panning ± 30 degrees. Multiple housing color options to match the door jamb. Hidden security screw for discrete look. Black Housing. 0.055Lux@F2.0 (Color, B/W). WDR (150dB). 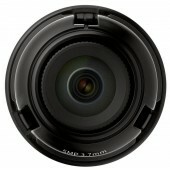 6.0mm fixed lens. 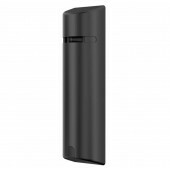 Compatible with PNM-7000VD. Compatible with PNM-9000VQ. 0.16Lux@F1.6 Color, B/W. 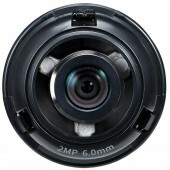 4.6mm fixed lens (5MP). Compatible with XNB-6001. Max. 2Megapixel (1920 x 1080) resolution. 0.45 Lux@F2.0. 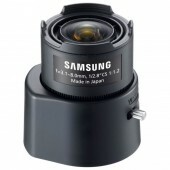 2.4mm fixed lens. 0.055Lux@F2.0 (Color, B/W). WDR (150dB). 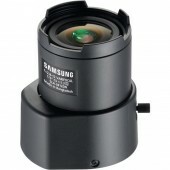 3.6mm fixed lens. 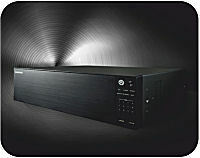 Compatible with PNM-7000VD.